Syed Amjad Ali on Twitter: "Blended Learning You could create a vibrant learning environment #swiftelearning #BlendedLearning https://t.co/dBmmvrP476… https://t.co/6gXlLNW6OD"
Syed Amjad Ali on Twitter: "Articulate 360: #ArticulateRise supports both #customeLearning and #rapideLearning. #swiftelearning #Articulate360 #AuthoringTool https://t.co/Ps5MDhGdxa… https://t.co/5dnOKyY5Cn"
Syed Amjad Ali on Twitter: "Custom preloader in #HTML5: The loading screen issue and sometimes audio is not synced properly #swiftelearning #CustomPreloader #elearning https://t.co/MaglAGo9KD… https://t.co/fvGhgVIKpw"
Syed Amjad Ali on Twitter: "Points to Reckon While Developing #MobileLearning Courses #swiftelearning #Mlearning #elearning https://t.co/kJbfql8UI2… https://t.co/mpuwriwVxq"
Syed Amjad Ali on Twitter: "Add a custom volume controller in Articulate Storyline 3 or SL 360 #swiftelearning #AuthoringTool #Storyline3 #Storyline360 https://t.co/4tX0sHW7Qw… https://t.co/wAG5rzXY6f"
Syed Amjad Ali on Twitter: "An e-learning course has been initiated jointly by Swift elearning Services and Hyderabad City Police – SHE Teams #swiftelearning #Training #SHETEAM #WomenSafety https://t.co/0RCLQn7qC4… https://t.co/z5v7uYRQcJ"
Syed Amjad Ali on Twitter: "#Articulate360 Web App – effectively collaborate with project stakeholders in every phase of elearning development #swiftelearning https://t.co/CVQymQzGca… https://t.co/eiTgwzUFLC"
Syed Amjad Ali on Twitter: "Adobe Captivate 2017 Review: #mobileLearning courses & responsive #eLearning design #swiftelearning #AdobeCaptivate2017Review https://t.co/u4sEZ8co4C… https://t.co/7rPB1SG0Pu"
Syed Amjad Ali on Twitter: "#Microlearning: it’s time to design #eLearning with more learner-centered (#millennial) approach. #swiftelearning https://t.co/4qhCHx29e8… https://t.co/zcRat3invj"
Syed Amjad Ali on Twitter: "Are you Unclear whether to invest in custom eLearning or off-the-shelf #eLearning? 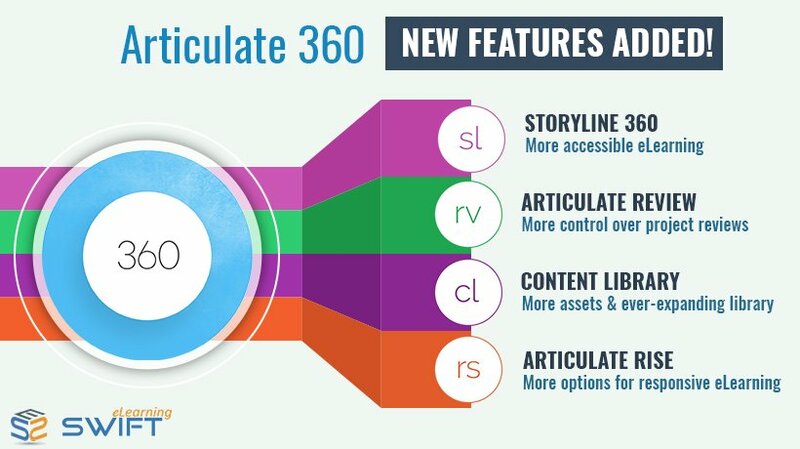 #swiftelearning #CustomElearning https://t.co/QBVSJvawad… https://t.co/v5VKJeNzc7"
Syed Amjad Ali on Twitter: "#Articulate brought all its products under #Articulate360: complete #eLearning authoring package #swiftelearning #AuthoringTools https://t.co/9QhQ1mAysW… https://t.co/ZTMgeSdLIt"
Syed Amjad Ali on Twitter: "What qualities make an Instructional Designer to develop effective #eLearning courseware. #swiftelearning https://t.co/1xV5FZjjI4… https://t.co/VNottFMmrL"
Syed Amjad Ali on Twitter: "Let's have a look at some of the elearning trends we have predicted. #swiftelearning #elearningTrends https://t.co/DPH7GYeRaK… https://t.co/jtFS5kXTxH"
Syed Amjad Ali on Twitter: "#Lectora ReviewLink: Defining and fixing Bugs and review feedback for an easy sign-offs from client #swiftelearning #AuthoringTool #reviewLink https://t.co/nlK2jSpWnN… https://t.co/N3RY64RNNP"
Syed Amjad Ali on Twitter: "#Storyline2 to #Storyline360: Steps to upgrade your elearning courses #swiftelearning #AuthoringTools https://t.co/7uCmWxmk97… https://t.co/PuAmM0PkU8"
Syed Amjad Ali on Twitter: "eLearning Could Be One of the Most Effective Solutions for Post #Brexit ‘Skill Gap’ Problem #swiftelearning https://t.co/X3y1TrhPKv… https://t.co/AUfVvwsGjI"
Syed Amjad Ali on Twitter: "In #Articulatestoryline2 Dials are quite parallel to sliders dials move in circular path. #swiftelearning #AuthoringTool https://t.co/oKVY2tiCHO… https://t.co/y6C82xPVmy"
Syed Amjad Ali on Twitter: "Articulate Storyline 3 Review: a standalone #Authoringtool #swiftelearning #ArticulateStoryline3 https://t.co/sirEySgVvI… https://t.co/xuQMcBXiGE"